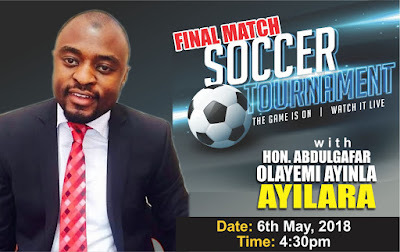 A football competition tagged with Hon. Gafar Ayinla Ayilara Soccer Competition will come to an end with the final tournament between Olayemi FC and Golden Boys FC which will be holding on the 6th of May 2018 by 4:30pm at Adabiyah Secondary School, Abayawo area of ilorin West local government of kwara state. 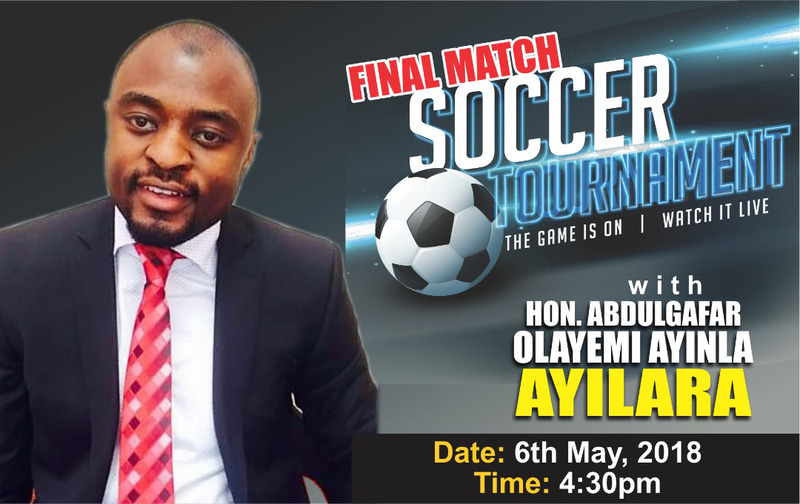 The soccer competition which is organised by some youth in Ilorin West local government with the aim of showing their support for Hon. 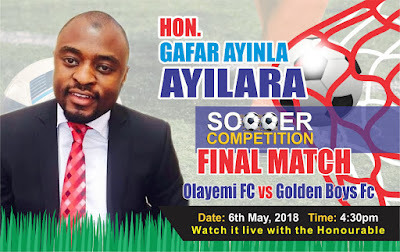 Abdulgafar Olayemi Ayinla Ayilara who is aspiring to be an Honourable representing Ilorin West at the State House Assembly under the umbrella of Peoples Democratic Party PDP and also with the aim of uniting Ilorin west youths.